At Gulf Rebel Charters we offer a wide range of charter fishing options to ensure you experience the perfect outing. Departure times can vary, and we can always build a trip to suit your needs. We offer fishing charters all year long, so call us anytime you want to catch some fish! 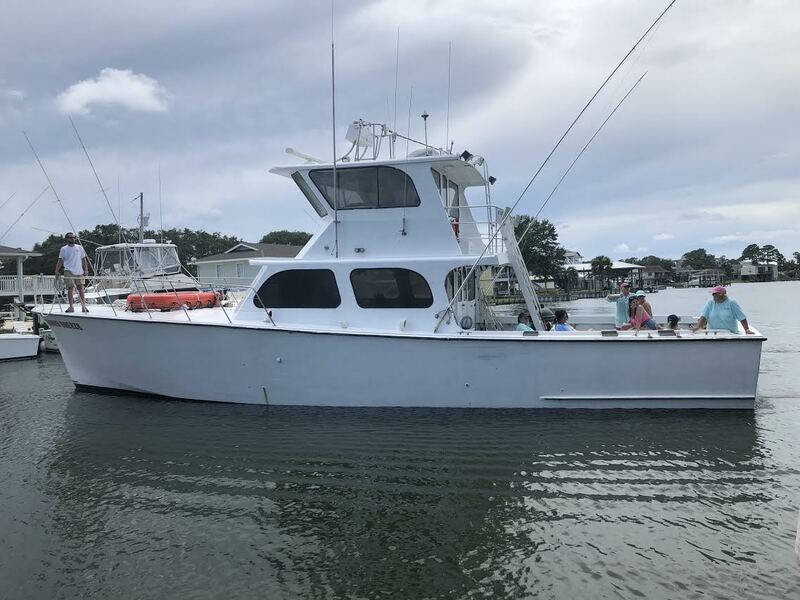 4 Hour- The 4-hour charter will consist of trolling (trailing one or more baited lines while the boat is in motion), and generally occurs within several miles of the shoreline. 6-18 Hour- Our longer trips start at 6 hours and increase by 2-hour increments up to 18 hours. These trips consist of trolling and bottom fishing on our privately built fishing reefs. We don't have a set distance from shore that we go, as we prefer to find where the fish are biting to ensure you catch as many as possible! Overnight- As the name implies, the overnight trips will stay out and fish through the night. These trips also offer trolling and bottom fishing on our private reefs. Bunks are available onboard for power-naps between intense angling sessions. Overnight Tuna- These overnight trips are specifically tailored for you to catch the mighty Yellowfin Tuna. These fish are famous for putting up epic fights against anglers, but the reward is even greater as tuna are one of the most sought after fish to eat. Call or email to inquire about availability and pricing! (251) 981-3119. Summer Breeze-a multi-passenger boat that can carry 10-20 anglers. 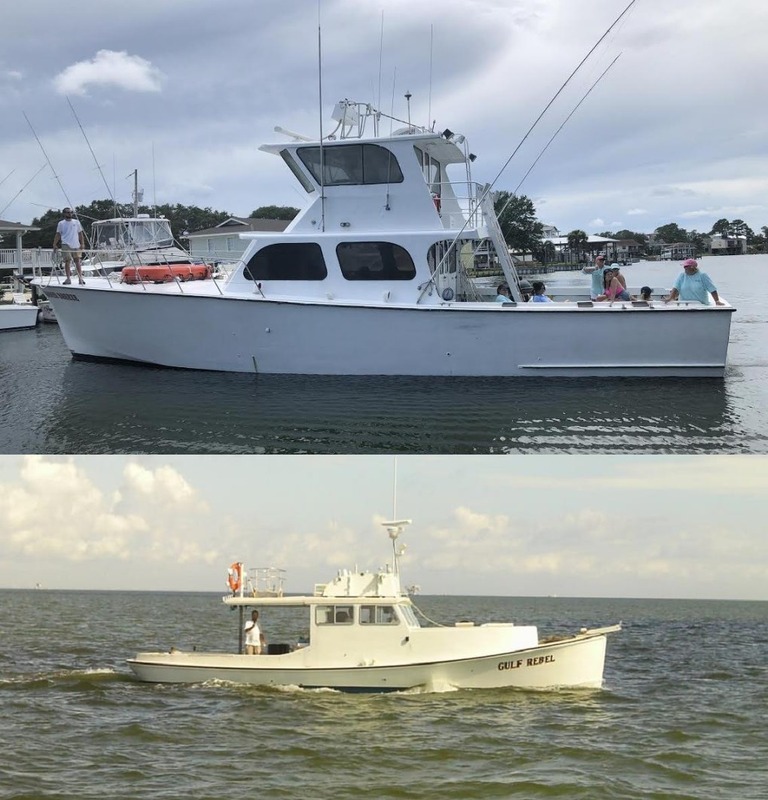 Gulf Rebel-a historic Orange Beach fishing boat that can carry up to 6 anglers.